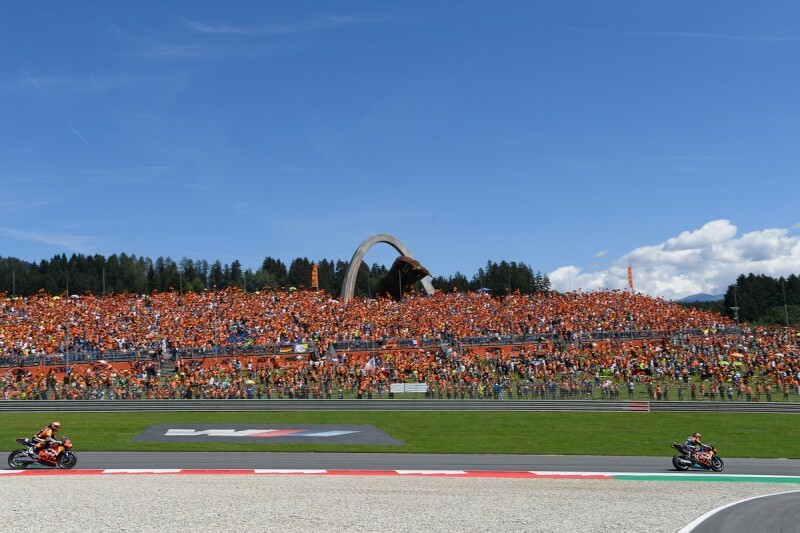 The Motorcycle Grand Prix at the Red Bull Ring was the perfect stage for KTM to officially present its MotoGP project. Starting in 2017, riders Pol Espargaró and Bradley Smith will represent KTM on the track in the premier class of motorcycle racing. 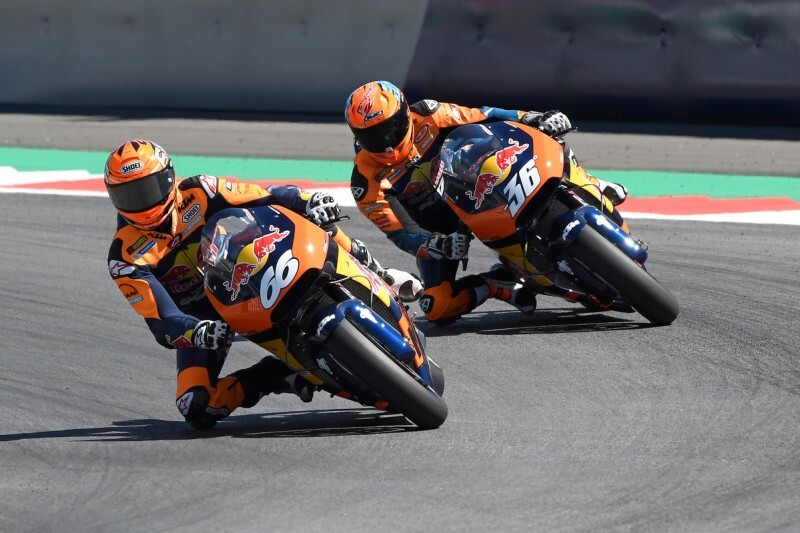 You couldn’t ask for a more perfect atmosphere: 80,000 fans, with brilliant sunshine on brilliant KTM orange all over the packed stands – and down on the track, KTM test riders Mika Kallio and Alex Hofmann on their KTM RC16s. Kallio and Hoffman laid down two lightning-fast laps in their demo run on Sunday, just before the start of the MotoGP race. They even made time for a special stop at the KTM stand in the Red Bull Ring infield. It was the first public outing for the new RC16 that the KTM team will be riding on MotoGP courses starting in 2017. A few days before, KTM had called a press conference. Hundreds of journalists and photographers were present as Mika Kallio, along with RC16 project director Mike Leitner and KTM Onroad technical director Sebastian Risse, unveiled the new RC16. After countless test rides over the last few months, it was now official: KTM has returned to the world of MotoGP racing! “This is a very special day for me,” said KTM’s chief executive officer, Stefan Pierer. “Almost two and a half years have passed since we decided to come back to MotoGP. 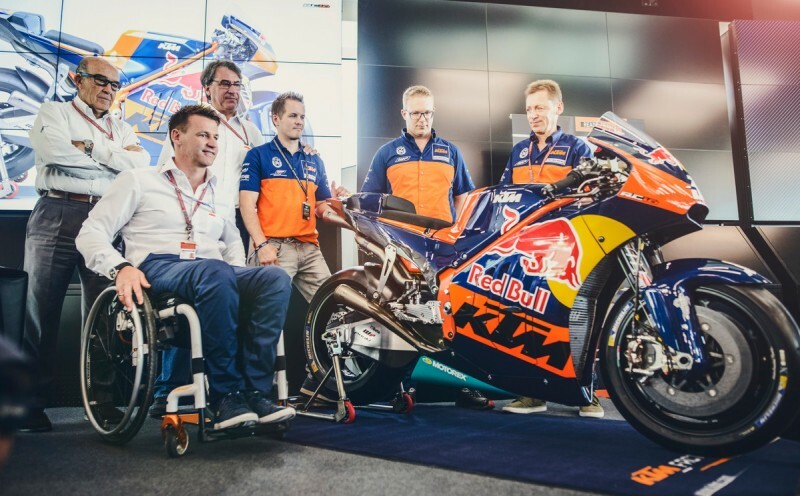 And now we’re presenting this project today.” Pierer made a strong statement: “It’s been my lifelong dream to see KTM become the MotoGP world champion one day.” Pierer acknowledged that KTM would first have to master a learning curve. “But we’re committed to pursuing the goal of a MotoGP title, even if it takes ten years.” As Europe’s largest motorcycle manufacturer, he said that getting involved in MotoGP was an obvious choice. “Now the right time has come,” said Pierer. KTM will be entering its first race right away this year, with a wildcard entry at the MotoGP season finale in Valencia from November 11 to 13. Test rider Mika Kallio will climb aboard the RC16 for the event. 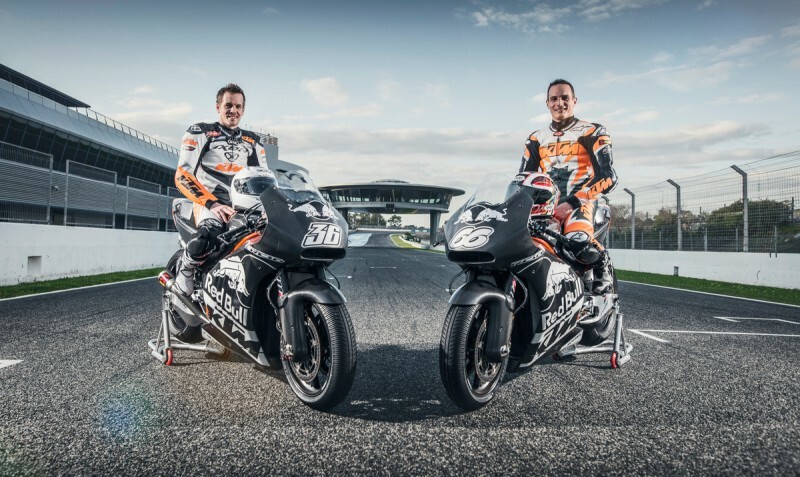 For next year’s races, KTM has enlisted Pol Espargaró from Spain and Bradley Smith from the UK. Before their first battle with their competitors from Honda, Yamaha, Ducati, Suzuki and Aprilia in Valencia, KTM has planned four more tests in Brno, Aragón, Misano and Valencia. This is the second time in the company’s history that KTM has gotten involved in MotoGP. Back in 2005, they had taken the plunge into the premier class of motorcycle racing, but only as an engine supplier for the KR team. 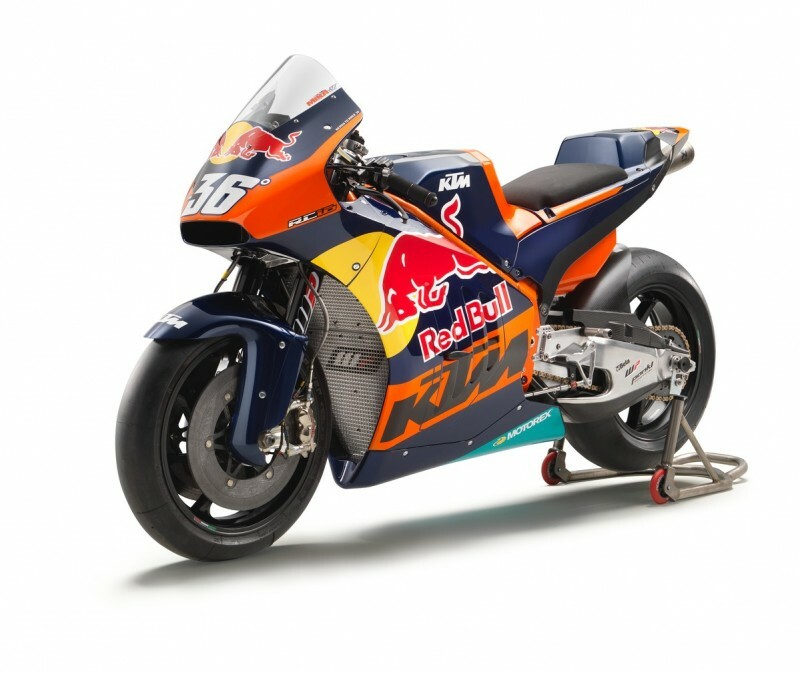 With the RC16, however, KTM has now developed a complete motorcycle that will also be manned by their own factory team. 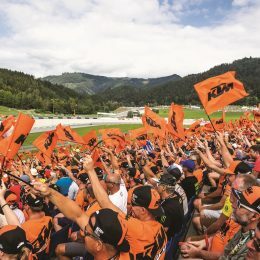 Along with its Moto3 project, which has already had four successful seasons, and its Moto2 effort starting up next year for the first time, KTM’s MotoGP activities will be directed from the new KTM racing division in Munderfing near KTM headquarters in Mattighofen (Upper Austria). 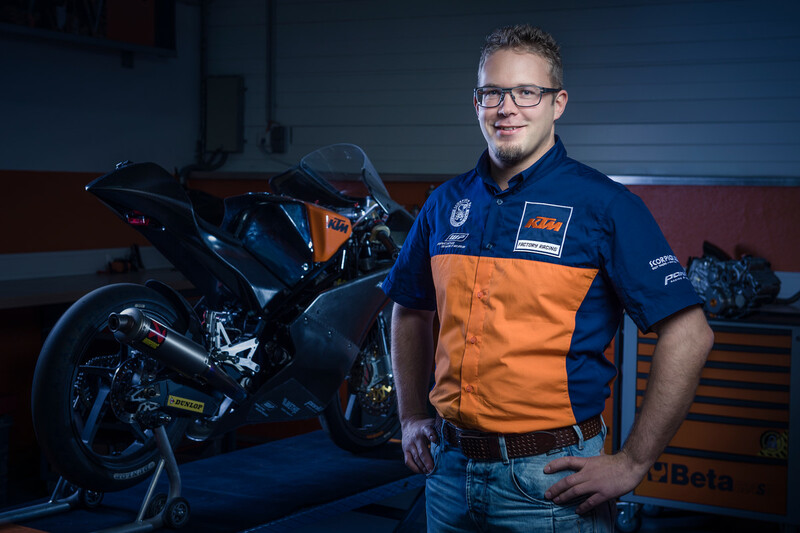 As the team’s number 1 test rider, Mika Kallio from Finland will have an important role in KTM’s MotoGP project. 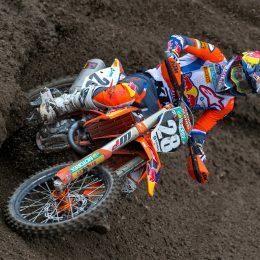 Kallio’s partnership with KTM goes back many years. 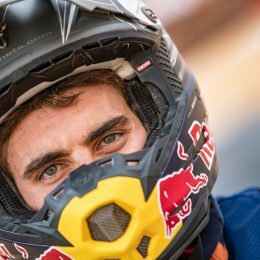 The 33-year-old Finn, who has been riding in the Motorcycle World Championship since 2002, rode KTM bikes for eight years in the 125 cc and 250 cc classes. During that time, Kallio achieved twelve victories and was vice-world champion in the 125 cc class in 2005 and 2006, and reached third place in the 2008 World Championship in the 250 cc class. Kallio later rode in the MotoGP for two years, and achieved second place in the Moto2 World Championship in 2014. Thanks to his speed, his excellent technical knowledge, and an immense wealth of experience from his 14 years as a World Championship rider, Kallio is the perfect man to develop a motorcycle. In November 2015, Kallio took on his assignment as a test rider for the RC16. When he enters the RC16’s first race at the MotoGP 2016 season finale in Valencia, Kallio will already have a whole year of experience under his belt with KTM’s new MotoGP bike. Alongside Kallio, the other riders participating in test rides during the RC16’s development phase were Alex Hofmann, Randy de Puniet, Tom Lüthi and Karel Abraham. For the 2017 MotoGP season, KTM has enlisted Pol Espargaró from Spain and Bradley Smith from the UK. Pol Espargaró grew up in Granollers, not far from the Barcelona racetrack. He made his World Championship debut there in 2006 at the age of 15, finishing in 13th place to become the youngest rider in the history of the Motorcycle World Championship to win points at World Championship level. After his Moto2 World Championship win in 2013, the younger brother of Aleix Espargaró moved up to MotoGP, and will now take charge of the KTM RC16 in 2017 after two years on the Tech3 Yamaha team. Like Pol Espargaró, Bradley Smith also made his World Championship debut in 2006, and also at the age of 15. After his second-place finish in the 125 cc class in 2009, Smith switched to Moto2 in 2011. Two years after that, he moved up again to the MotoGP class, where he was Pol Espargaró’s teammate on the Tech3 Yamaha team until recently. 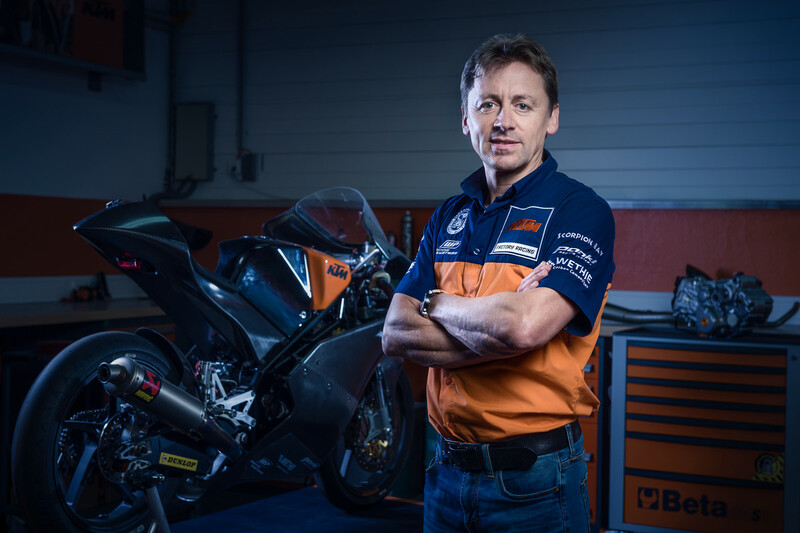 As “Technical Director Onroad”, Sebastian Risse is responsible for all technical aspects of road racing in general at KTM, and of the MotoGP project in particular. 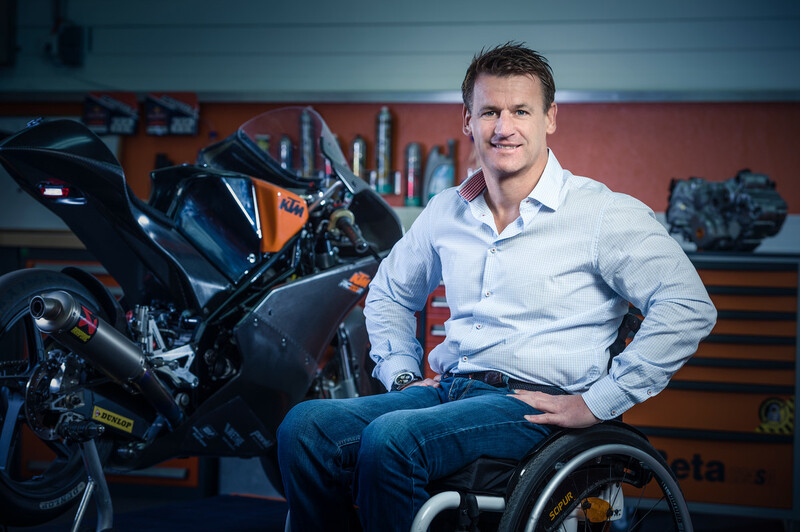 Risse has been with KTM since 2008, having started out by developing the chassis for the RC8 superbike. After KTM won the IDM Superbike title, Risse worked on the Moto3 bike that has helped KTM to achieve many victories and two World Championship titles since 2012. Kurt Trieb is responsible for the KTM RC16’s V4 engine. After completing his engineering degree, Trieb worked in Stuttgart for Porsche, Rotax and BMW before coming to KTM in 2003. The 54-year-old built the engine for KTM’s first MotoGP project in 2005, and KTM’s Moto3 engine as well. Mike Leitner is the MotoGP project director. Back in the ‘80s, the Austrian native raced in the World Championship in the 125 cc class. After his active racing career, Leitner earned a reputation as an outstanding chassis expert. 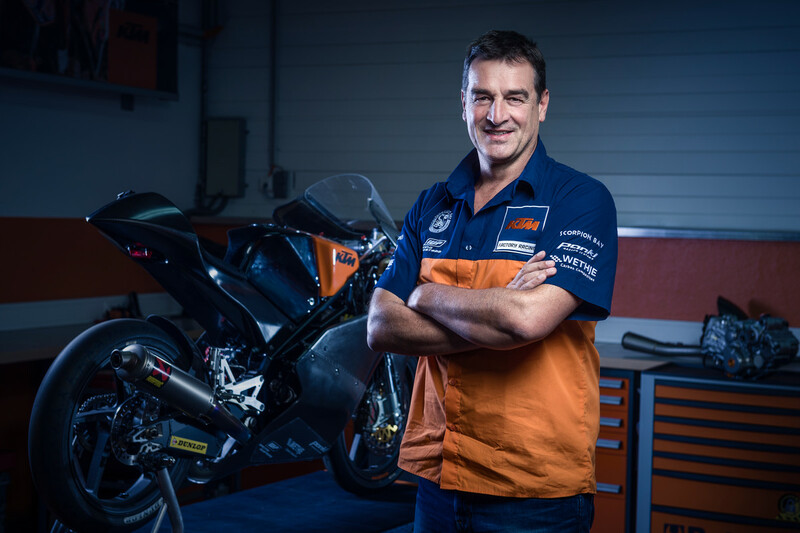 After a number of years as crew chief for MotoGP rider Dani Pedrosa, Leitner is now “Vice-President Onroad” at KTM, making him the man that sets the overall direction of the KTM RC16 development project. As KTM’s “Motorsport Director”, Pit Beirer is also responsible for the RC16’s race appearances. Beirer, a former motocross vice-world champion and thoroughbred pro, has been the company’s motorsport director since 2010. 2003: KTM enters the 125 cc World Championship with a factory Team. 2004: Casey Stoner picks up KTM’s first World Championship win in the 125 cc class at Sepang, Malaysia. 2005: KTM starts its 250 cc World Championship project; Anthony West grabs second place in the first race at Donington Park. Alongside the 125 cc and 250 cc projects, KTM develops a 990 cc engine for the MotoGP class that is used by the KR Team. In the 125 cc World Championship, KTM wins the World Constructors title, and Mika Kallio achieves 2nd place in the rider standings. 2006: Second place for KTM in the 125 cc World Championship with Mika Kallio. 2008: Third place for KTM in the 250 cc World Championship with Mika Kallio. 2009: KTM withdraws from the Motorcycle World Championship. The results: 22 victories, 46 podium placements, 19 pole positions. 2012: KTM returns to the Motorcycle World Championship; with Sandro Cortese at the controls, KTM wins the new Moto3 category (successor to the old 125 cc class) in its first year. 2013: KTM wins all 17 races of the Moto3 World Championship season, and KTM rider Maverick Viñales is crowned world champion. 2015: First test of the KTM RC16 that KTM will use for its entry into the MotoGP class. 2016: Presentation of the RC16 and the Austria Grand Prix at the Red Bull Ring; first wildcard entry with Mika Kallio at the season finale in Valencia. Finalmente in moto gp la storica casa austriaca . Ci saranno delle belle sfide da vincere. Ed io me le gustero’ tutte con l’ arancione nel cuore. In bocca al lupo ktm. What a thrill to see KTM join the ranks of Moto GP. The bike looks great and it will be exciting to watch.